Video Of Narendra Modi Mentioning PUB-G In His Public Speech Goes Viral !! Hilarious !! 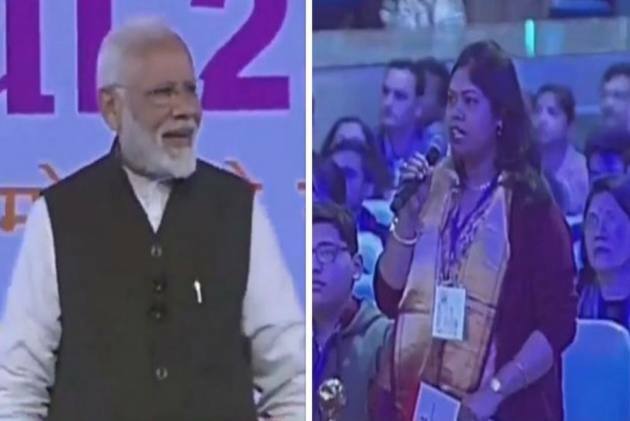 Prime Minister Narendra Modi today coined a term that could succinctly sum up …er many children across India – “PUBG-wala” – as he fielded questions on exam stress at his “Pariksha Par Charcha 2.0”. As a mother complained to the Prime Minister that her son was avoiding studies and was addicted to online games, PM Modi replied: “PUBG-wala hai kya? (is he a PUBG gamer?)”. Relatable. The audience roared with laughter. On a serious note, the Prime Minister said it was not good to dissuade children from technology. “Explore ways in which you encourage your children towards accepting and understanding technology. But remember, technology should be used to expand our horizons, not to let it shrink us in our life. It should not be allowed to narrow us down, as that would be very harmful for us,” he advised. He said if parents tried to make these efforts, children would hopefully move from “playstation to the playground”. The hugely popular online multi-player game PUBG, or PlayerUnknown’s Battlegrounds, has been banned in schools in PM Modi’s home state Gujarat. PUBG was launched in December 2017, and has since acquired a massive fan base in India and worldwide. PlayerUknown’s Battlegrounds, popularly called PUBG, is a multiplayer mobile app and video game that was launched in 2017. In the game, up to a hundred players can arrive on an island by way of parachutes and hunt for weaponry to kill others, while avoiding getting killed at the same time. Players can choose one out of four maps to play in. Playing a full round, on an average, takes less than thirty minutes. PUBG has won multiple awards since its launch and has developed a huge user base in India and other parts of the world. A students’ body in Jammu and Kashmir has also asked for a ban on PUBG, blaming it for poor examination results. Previous articleArya Posted A Video Of His “Pull Ups” In Gym & Tried To Inspire Everyone !! Got Badly Trolled By This Comedian !! Next articleTamizh Padam Celebrates The 9th Year Anniversary !! Director Trolls Himself In A Hilarious Way ! !